When someone is arrested on suspicion of a crime, that person will be taken by law enforcement agents to jail for booking. During this process, the person will have a mug shot taken, he or she will be fingerprinted, and asked for a statement. While awaiting his or her day in court, the individual will be held in jail unless he or she is released on bail. 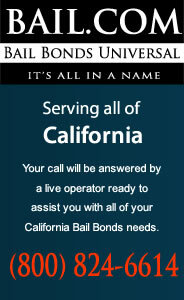 The bail agency is then responsible for ensuring that the individual arrives in court on the day of his or her trial. If the individual does not turn up in court, then the bail agency may hire a bounty hunter to track the individual down. It should be noted that the U.S. is one of the only countries in the world that still allows bounty hunting. A bond is a surety that the full bail amount will be paid, but some courts will accept either the full bond or a 10% cash down payment for the release of a suspect. How Bonds and Bondsmen Work? When a bail bondsman, working with a bail bonding agency, puts up a fee for the release of a suspect on bail, the bondsman charges a fee of usually about 10% of the amount of money that is required to pay the bail. This initial fee is not refundable, even if the case is thrown out after the suspect posts bail. The bail bondsman will take out a security against a defendant�s assets in order to cover the cost of the bail. If the defendant does not have enough assets, then the bondsman might take out securities against individuals that are willing to assist, such as relatives and friends. When a security is taken out, a bondsman often requires that 10% cash payment in addition to the mortgage on a person�s home that would equal the full amount of the bail bond money owed. In the event that a defendant does not arrive in court on trial day, the bondsman can not only hire a bounty hunter to track the defendant down, but the bondsman then has a right to sue the defendant for money that was given to the court for the defendant�s bail bond. The bail bond agency may also recover any unpaid money by claiming assets that were owned by the defendant or those individuals that signed a contract to financial assist the defendant.